A study looking at the brain response to stress in depression offers important clues about changes in brain function that may be associated with vulnerability to depression and what happens when a vulnerable individual becomes depressed. 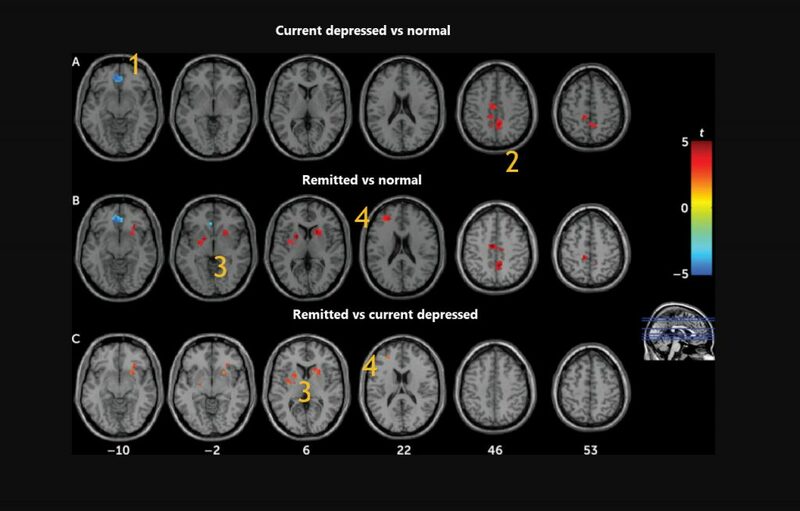 Researchers looked at brain activity using functional MRI in three groups of people: people with untreated first episode major depression, people with a history of depression now in remission, and normal controls. Compared with the control group, both patient groups exhibited decreased activation in the ventromedial prefrontal cortex (1) and increased activation in the right precuneus, middle cingulate cortex, and paracentral lobule (2). Areas of hyperactivation, compared with control subjects, were detected in the left dorsolateral prefrontal cortex (4), right caudate, and bilateral putamen (3) in the remitted group only. 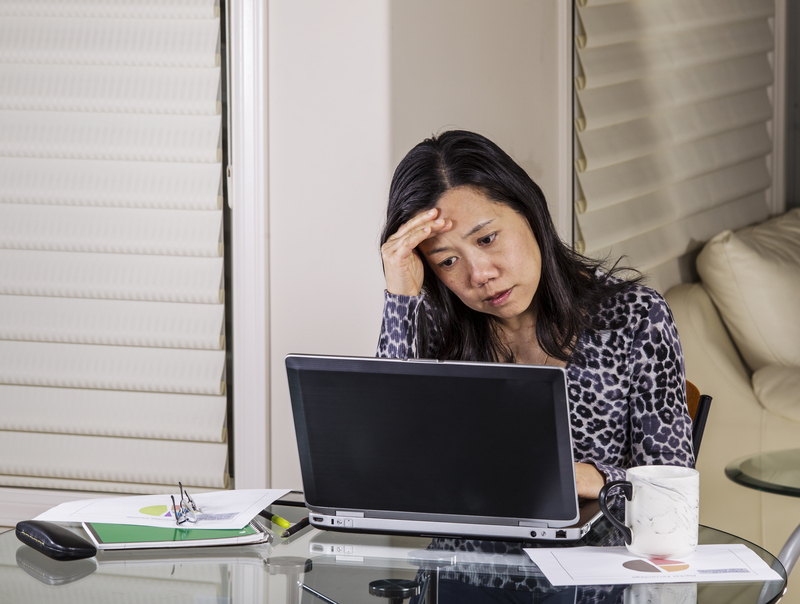 They found that people at risk of depression (both those currently depressed and those in remission) had increased brain response to a stressful task with higher subjective stress levels and higher cortisol responses. prefrontal cortex and increased activity in the precuneus in stressful situations, compared to the normal controls. The greater the reduction in ventromedial prefrontal cortex activity, the higher the cortisol levels. People with remitted depression showed increased activity in the dorsolateral prefrontal cortex and striatum (caudate and putamen) compared to normal controls, whereas those who were currently depressed did not. And in those with remitted depression, the greater the increase in activity in the dorsolateral prefrontal cortex and striatum the lower their depressive symptoms. Increased activation in the dorsolateral prefrontal cortex and stratum may be a compensatory response to the changes in brain that predispose certain people to depression. This study suggests that the path to remission in those who are vulnerable to depression may not involve a return to normal activity in the brain. The increased activity in the dorsolateral prefrontal cortex is an interesting finding since that is the area that is stimulated by TMS, as well as an area activated by mindfulness practice. Suggesting that TMS and mindfulness may activate the brain’s natural healing process after depression.